A young man living in Brooklyn explores his sexuality and his self-identity. The slice-of-life self-exploration genre is a staple of independent filmmaking. 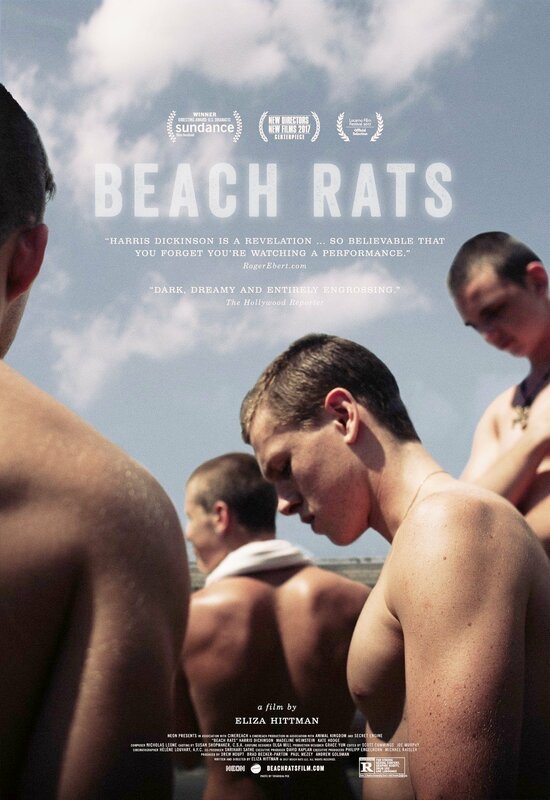 Written and directed by Eliza Hittman, "Beach Rats" falls neatly into this genre. This is her second feature film, her first being "It Felt Like Love," another character sketch about a journey of sexual self-discovery. This movie stars Harris Dickinson as Frankie, a young, rebellious man living in Brooklyn with his mom. He spends most his time hanging out with his delinquent friends at the beach, doing drugs, and doing his best to cultivate a certain public image for himself. In private, he spends a lot of time on a video chatting website for gay men used for meetups and hook-ups. Frankie doesn't yet identify as gay. He has a girlfriend, but despite her sexual aggression, she does very little for him. He finds himself torn between the public lifestyle and image he has cultivated for himself and his private sexual desires and personal identity. As we said above, independent slice-of-life films are pretty much a dime a dozen at this point. Films about exploring one's sexual identity are only slightly less common. This is a movie about a gay adolescent trying to come to terms with his own sexuality. The questions we must ask ourselves while watching are: do we find this main character compelling? Are we engaged by his journey? Are we satisfied by the time it is over? For us, the answer to most of these questions is not really. Though we do sometimes enjoy watching the struggle Frankie faces between his public and private lives, part of the problem with "Beach Rats" lies in its mumble-core style of dialogue. This may read as authentic for some, but for us, it winds up feeling banal and boring. The most interesting thing comes from wondering what will happen if Frankie's less than reputable friends or his flailing mother find out about his true self. In many ways, "Beach Rats" is a very competently made piece of cinema, unfortunately, it just isn't that engaging or interesting. We don't think Frankie has a strong enough arc and the ending left us underwhelmed. After we had finished the film, we felt like we had just watched a story where nothing was truly accomplished. It's not a long film but it feels very slow and drawn out. Though the point of the thing is to feel aimless, listless and slightly confused like our lead character, it feels too boring and predictable for our liking. We wish something had happened in "Beach Rats" that really made it stand apart from the countless other movies like it, but no such moment ever came.